The Hardest Working, Smoothest Riding and most comprehensive line of side-by-side utility vehicles on the planet. 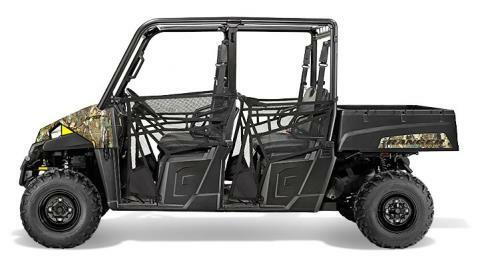 Choose from two-seat, full-size and CREW models for the trail, farm, hunt and so much more. 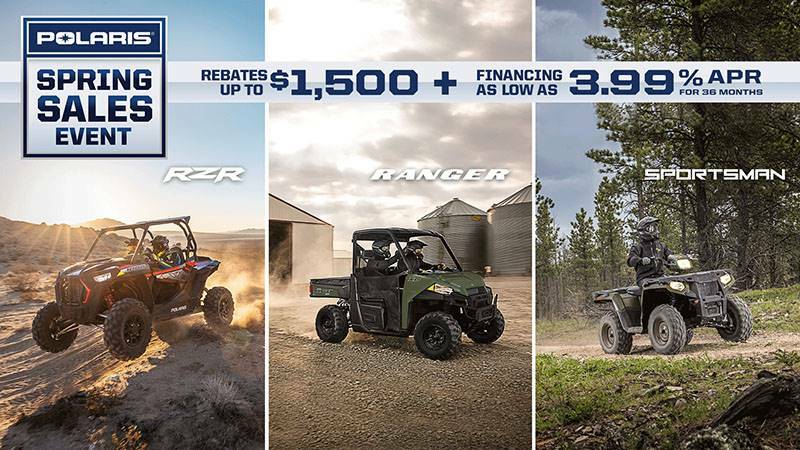 THE PROSTAR® ENGINE ADVANTAGE: The RANGER 570 ProStar® engine is purpose built, tuned and designed alongside the vehicle – resulting in an optimal balance of smooth, reliable power. The ProStar® 570 engine was developed with the ultimate combination of high power density, excellent fuel efficiency and ease of maintenance. PROSTAR® PULLING POWER: Featuring a powerful 44 HP ProStar® engine† that leaves the utility side-by-side competition in the dust – 22% more than the 2014 Honda Pioneer™ 700-4††. 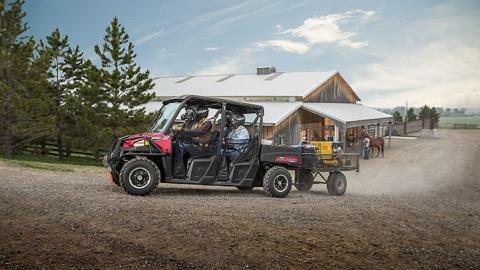 RANGER 570 delivers more torque and rear wheel pulling power to get the job done. Disclaimer: †All competitive comparisons are based on 2013/2014 models and on published manufacturer specifications available at time of printing. 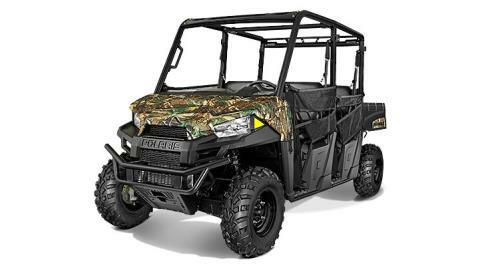 Pioneer® is a registered trademark of Honda Motor Co., Ltd. HP numbers are based on 2013 Executive Orders issued by the California Air Resources Board (CARB) ††All horsepower specs tested and verified by a third party entity. CLASS-LEADING TOWING AND PAYLOAD: Now with 20% more towing capacity (1,500 lbs.) and standard 2” receiver, the RANGER 570 allows you to tackle the toughest jobs with confidence. Additionally, a 1,250 lbs. payload capacity is highlighted by a rear box with gas-assist dumping operation that can tote up to 500 lbs. of materials. RANGER WORKS ON YOUR SCHEDULE: RANGER doesn't stop working when the sun goes down, and is there for you before it rises. RANGER 570 features 50W headlights versus 37.5W for the competitors and our LED rear lights out shine the others too. WINCHES MADE FOR YOUR VEHICLE: Polaris Engineered™ winches offer seamless integration, easy installation, and heavy duty pulling power for your task. With a full line of winches from the premium Pro HD Series, to the value-minded Heavy Duty series, you can trust Polaris Engineered™ winches to get the job done. ALL-DAY RIDING COMFORT: We designed RANGER 570 with an ideal seat height combined with wide foot clearance for easy entry and exit. Plus, experience updated bench seats engineered for all-day riding comfort and standard tilt steering wheel adjustment! SMOOTH RIDING SUSPENSION: To ensure a smooth ride, RANGER 570 features a full 9” (22.9 cm) of suspension travel up front and 10” (25.4 cm) of Independent Rear Suspension travel – an increase to all wheels. This is 25% more than the closest competitor in the class. 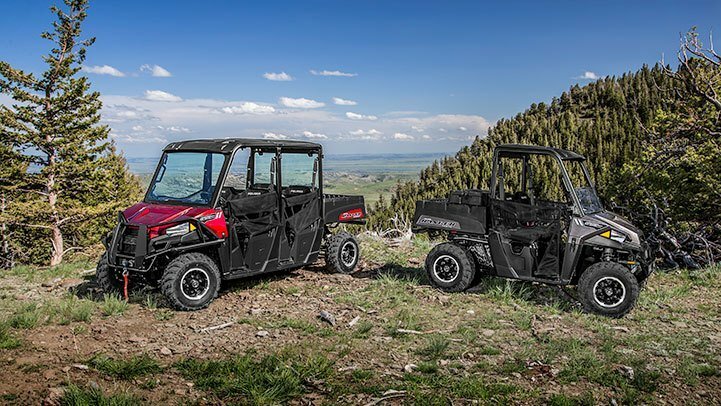 NIMBLE HANDLING: For nimble handling and a tight turning radius, RANGER 570 features an ideal 73” (185 cm) wheelbase paired with a full 10 inches (25.4 cm) of ground clearance. DESIGNED FOR EASY MAINTENANCE: RANGER is engineered to make maintenance quick and straightforward in your garage with easy to access service points for the oil filter, dipstick & drain plug. The Polaris Engineered™ PS-4 Extreme Duty and PS-4 Oil Change Kits are engineered to offer the right protection for your engine, the right amount of oil and the right filter to get the job done fast so you can get back to riding. LOCK & RIDE® PRO-FIT ADVANTAGE: Welcome to the new standard in accessory integration. 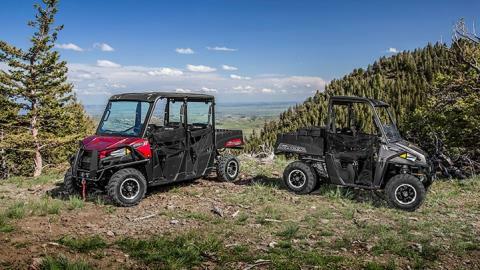 Polaris-exclusive Lock & Ride® Pro-Fit cab systems offer unparalleled fit & finish, durability, and quality. The highly modular system enables you to customize your cab to your needs. From premium automotive glass tip-out windshields, to economical canvas doors, and durable steel roofs, Lock & Ride® Pro-Fit cab components attach easily to the purpose-built chassis, allowing for simple installation and removal. FULL LINE OF POLARIS ENGINEERED ACCESSORIES™: Make your RANGER even better with Polaris Engineered Accessories™. With more than 350 accessories available, and Polaris-exclusive technology like Lock & Ride®, you can feel confident that Polaris Engineered Accessories™ will improve your ride, from the back yard to the deep woods. 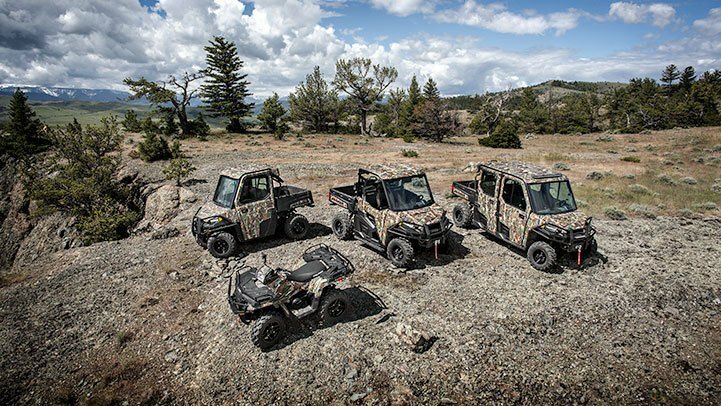 LOCK & RIDE® STORAGE SOLUTIONS: With more than 15 Lock & Ride® storage options available for your RANGER, it has never been easier to store your gear. From versatile tool racks to premium coolers, Lock & Ride® storage accessories offer purposeful solutions for organizing your cargo.